Save it as .eslintrc in your file system's root, or any other parent folder containing your project folders. You can always create another .eslintrc in your project folder itself later on to override the global rules. To prevent unnecessary warnings, "func-names" is manually switched off here because Airbnb's JS style guide allows anonymous functions. 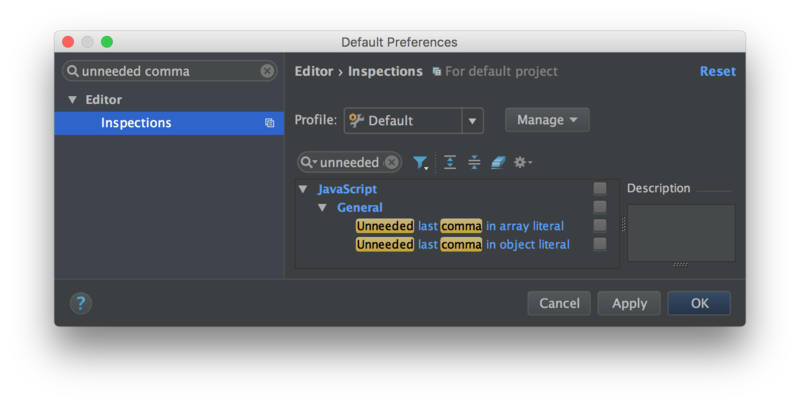 When enabling the ESLint tool in Webstorm, by default it will search for any .eslintrc files containing configuration. Our file in step 2 will automatically serve as a global config for all your projects. 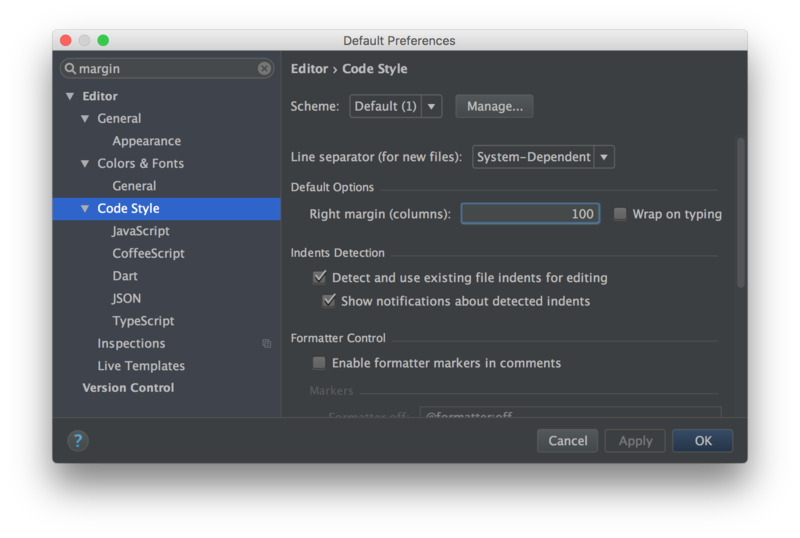 Of course you can tweak any rule or plugin to your liking using the ESLint docs.